At Central Park Nursery we are very proud of our continuing positive Ofsted inspections and always strive to work hard to improve the service we provide for the children who attend our Nursery. 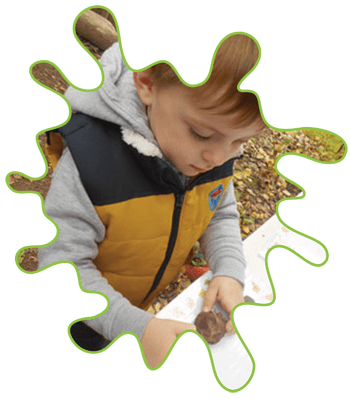 Every room works alongside the Early Years Foundation Stage (EYFS) to support and nurture children’s learning, using the predicted ages and stages to challenge the children and help them achieve their goals. These skills are supported through careful planning, Next Steps and our playrooms which are all designed with the children’s development and learning in mind. high quality care to all children who access our provision from 3 months to 11 years. a Nursery setting that is safe, stimulating and nurturing. to give all children the opportunity to forward their learning and development by building on their abilities through planned activities and supported play. a supportive atmosphere based on positive staff, children relationships and parent partnerships as well as working with other outside agencies when needed. We have strict room ratios of adults to children set through welfare standards, ensuring that all children get the time they require to build good relationships with staff members and to supervise the children effectively so they can explore and play. The ratios are also in place to support the key person system within Nursery. The key person will work alongside their key group to assess their abilities, observe their skills and support their next steps. They work with the children daily and the pictures, photographs and observations are added to their development files, which follow them through Nursery and are taken home by parents when the children leave us. Finding the right Nursery for your child is an important decision and we understand parents should feel completely confident with their choice. With this in mind, our staff are carefully selected based on their skills, qualifications and approachability as well as a caring and creative nature. We follow the Safer Recruitment Guidelines to ensure that staff members are suitable to work in a Nursery setting. A vigorous interview and induction process is in place to ensure that applicants are well matched with Nursery, the children, our policies and other members of the team. DBS checks are carried out on all individuals who work alongside the children including volunteers and regular visitors. Staff Suitability Forms are signed every 3 months to ensure consistency. All staff members hold NVQ Level 2 and/or 3 and are Paediatric First Aiders, other than our apprentices who are working towards gaining these qualifications. On-going training is made available to all staff to continue their professional development and keep their knowledge and practises up to date.